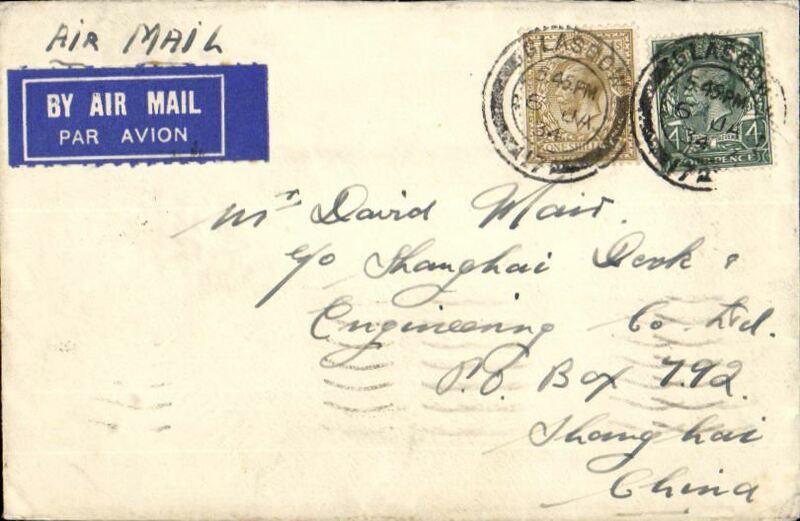 Description: A possibly first recorded airmail to South China, from London to Shanghai, bs 29/1, via Marseilles 10/1 and Saigon 19/1, flown at the reduced rate of 1/4d, plain cover franked 1/- & 4d canc Glasgow cds, ms 'Air Mail', blue/white airmail etiquette. 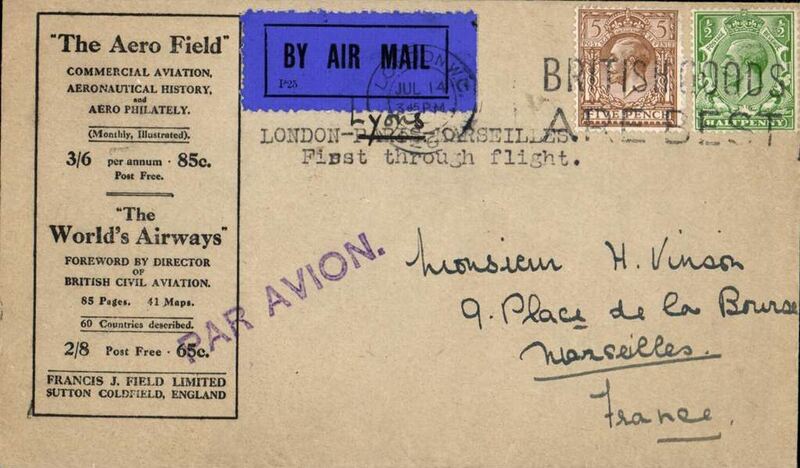 This service is listed in Proud's Postal History of British Airmails page 228. 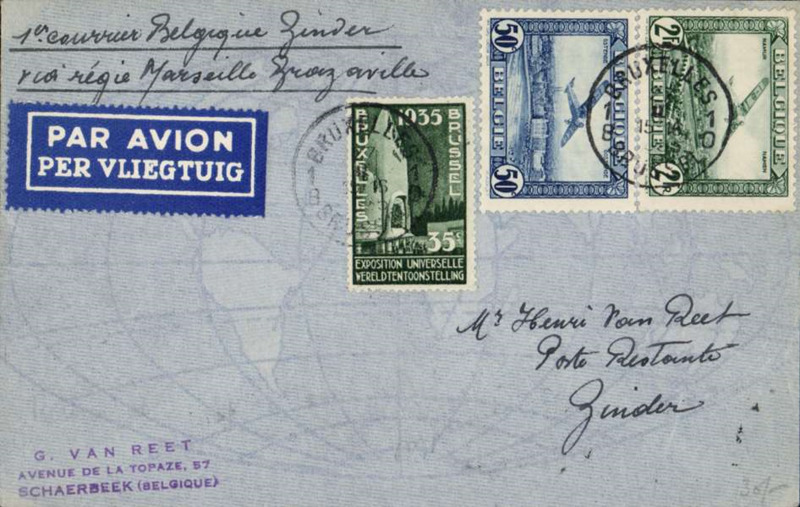 But he says that no covers carried on this service have ever been seen. So this item is truly one for the exhibit..